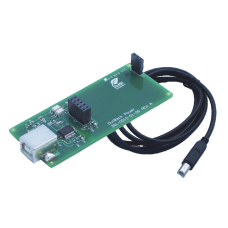 The Outback Power Systems MATE3 USB Card is an optional USB serial communications card for the MATE3 system controller. The USB Card enables PC command and control functionality of Outback Systems. The MATE3 provides an option for an isolated port for PC communication in the form of a USB cable, and the USB card must be installed for this function to work. The USB card operates with Windows and Linux systems, and Mac OS X 10.7 or later.